A friend of mine emailed the company. They wrote her back and she posted their reply. We appreciate you taking the time to share your thoughts with our small family owed business. We truly value customer feedback, because if there was an issue we'd want to be aware of it. Please know, we have multiple styles and boxes. It just happens to be that in this store they only have two versions on the shelf. In other stores we have all of our versions. I have also attached a photo to this email so that you can see our full product line. We swap pictures out periodically and update our packaging regularly, so at times we may have different images on different boxes. We can assure you that Baby K'tan is sensitive to all moms, dads, families, races and religions. Thank you again for your feedback and please let me know if there is any other way that I can be of assistance. who has the energy for this? why did i read "problem solved baby aborted"
The things people waste time on. It's funny because when I first saw this today I thought people were posting because they were happy to see a black mainstream woman using a sling since baby-wearing is not really popular in our community like that. Is that black guy holding a white baby?? Why couldn't he hold a black baby? What they tryin to say? Black men don't want to hold black babies?? I had no idea what the hoopla was about from just looking at the images. I thought people were protesting 'babies in a sling'. 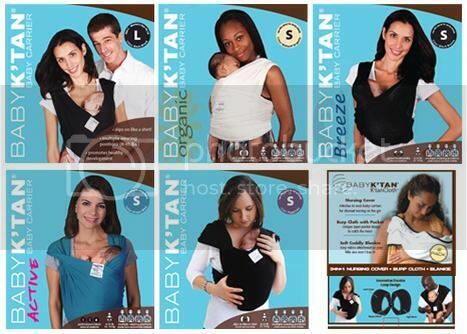 Seriously, I think there is more going on in the world to stress over than a product showing a lone AA woman with a baby, and the same product showing a Caucasian couple.